The midfielder has joined the Championship side until January. 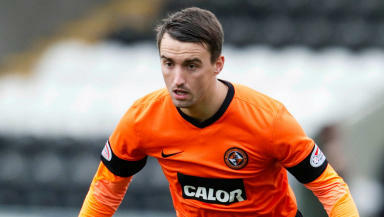 Mark Millar has rejoined Falkirk on loan from Dundee United until January. The midfielder played for the Bairns from 2010 until 2012, helping the club reach the League Cup semi-finals in his final year with the club. Former Celtic youth Millar joined United and made 20 appearances in his first season with the Tayside outfit. However the 25-year-old has only made one appearance this term, in the 3-2 League Cup win over Dumbarton. Falkirk are currently fourth in the Scottish Championship table with 15 points from 11 matches.